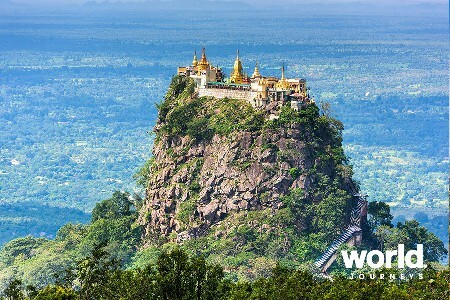 Cruise along the mighty Ayeyarwady River on board the luxurious Belmond Road to Mandalay river cruiser. 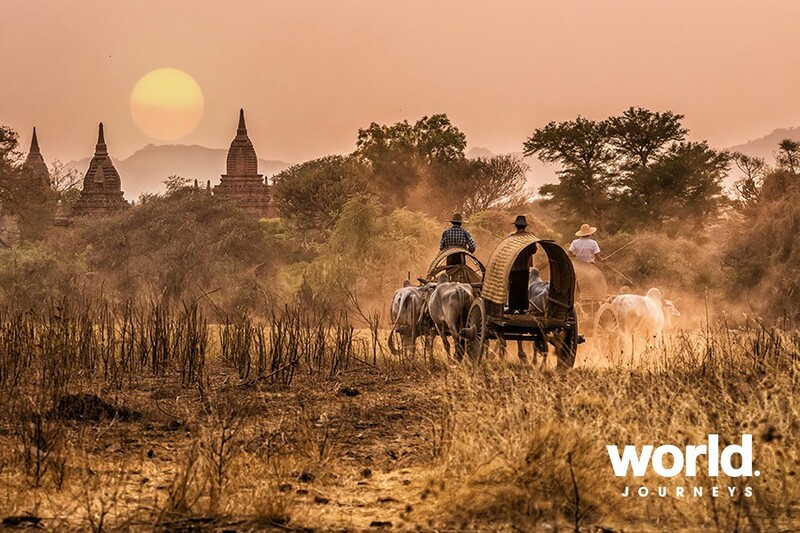 Experience the enchanting sights, scents and sounds of Myanmar from the perfect vantage point on board, and stop off to explore rural villages from a bygone era. 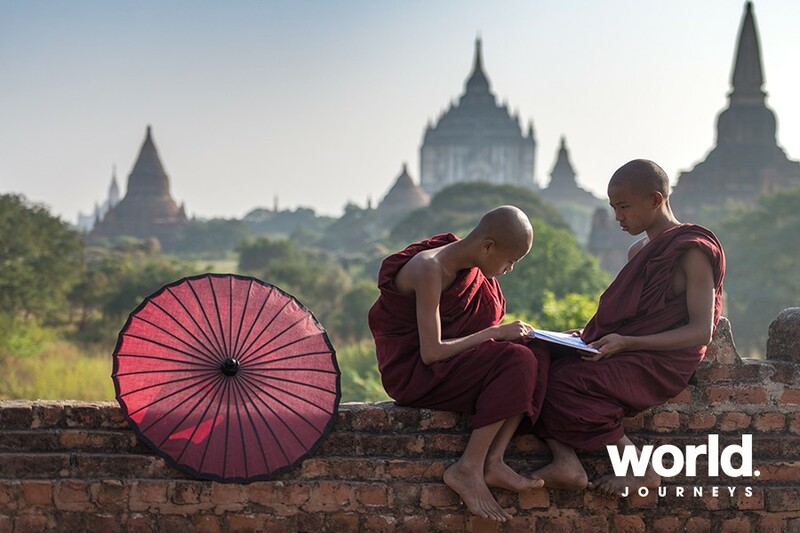 See saffron-robed monks go about their daily rituals and marvel at the golden spires of pagodas, which soar out of the lush jungle. Your perfect sanctuary awaits you on board this luxurious river cruiser at the end of each day spent exploring the exotic shores. Whether you choose a refreshing swim in the pool, a cool drink on the deck or the privacy of your ensuite, airconditioned cabin, you could not choose a better way to enjoy your journey. For a dining experience to rival no other, an explosion of Burmese, Thai, Indonesian, Indian and European flavours awaits you in the elegant restaurant below decks. 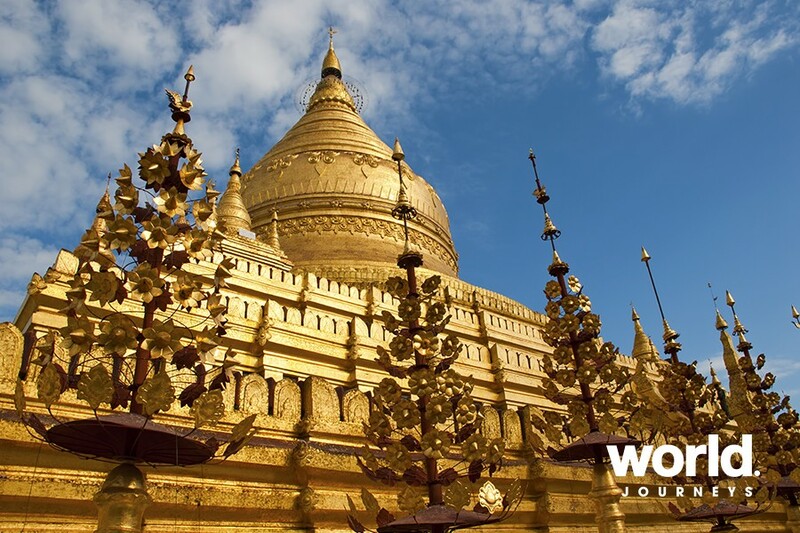 Day 1: Yangon > Bagan Join your cruise in Bagan. 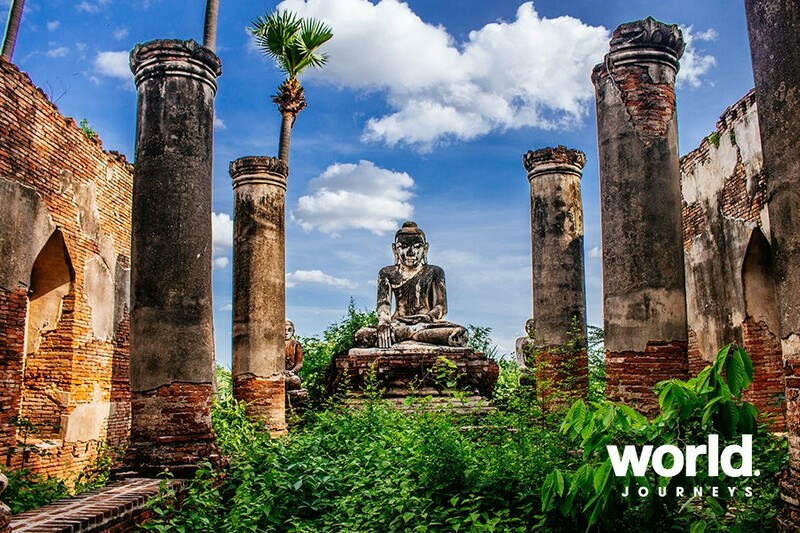 In the afternoon, take a guided tour and watch the sun set over golden pagodas and ancient temples. 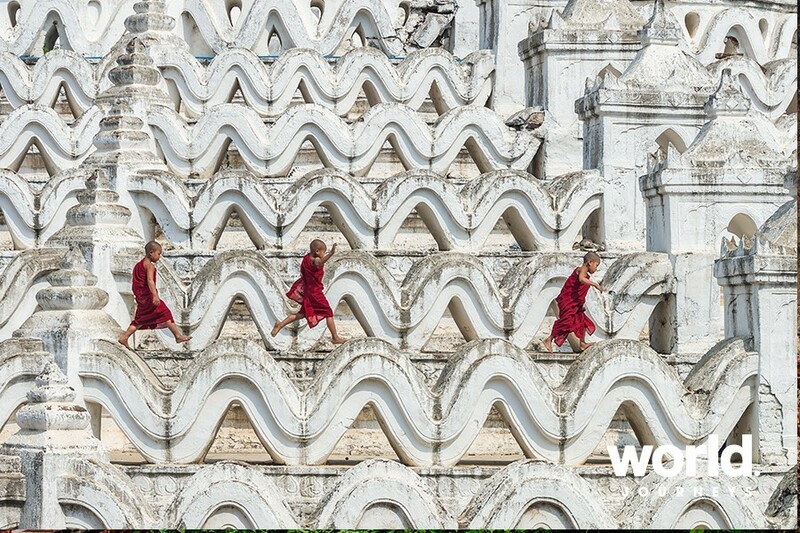 Day 2: Bagan Enjoy a short walk to nearby farmland, visit the ornate Sulamani temple, a beautifully constructed pagoda with intricate carving and brickwork or explore at your own pace. 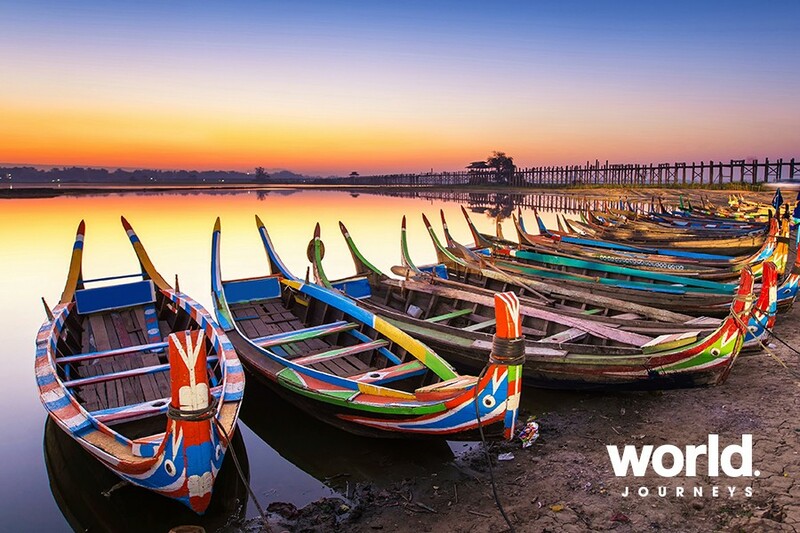 Day 3: Myin Mu Board a fleet of trishaws and enjoy a tour of the town, which boasts a vibrant local market, colourful tea shops and traditional treasures. This afternoon visit Alacapa, a farming village with a wealth of crafting heritage. 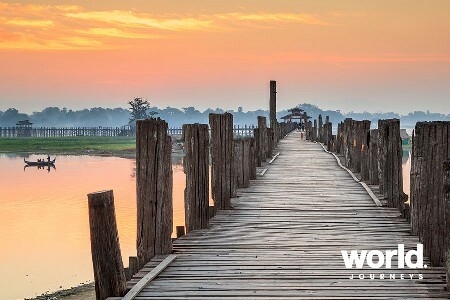 Day 4: Monywa Travel to the Chindwin River this morning, a thriving life-force that flows through the heart of Myanmar. 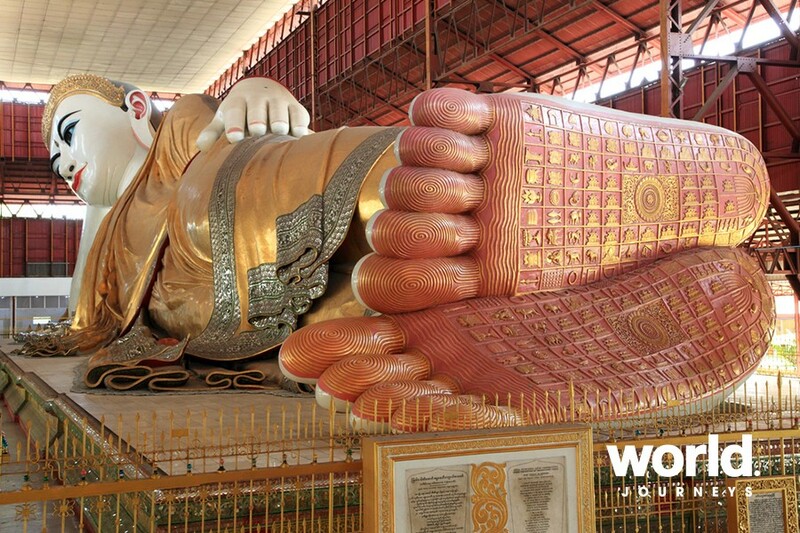 In Monywa see the world's tallest Standing Buddha and the giant Reclining Buddha. 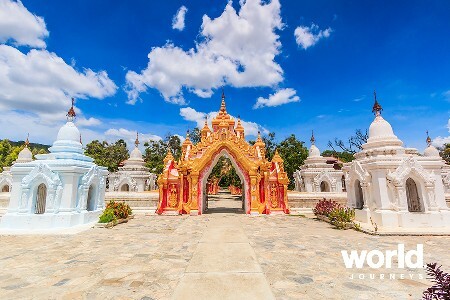 Day 5: Mandalay Explore the UNESCO-listed Kuthodaw Pagoda and the former living quarters of King Mindon at Shwenandaw. Savour local flavours and traditional dishes with lunch at the Green Elephant restaurant in the city. Day 6: Sailing A leisurely day of sailing lies ahead. 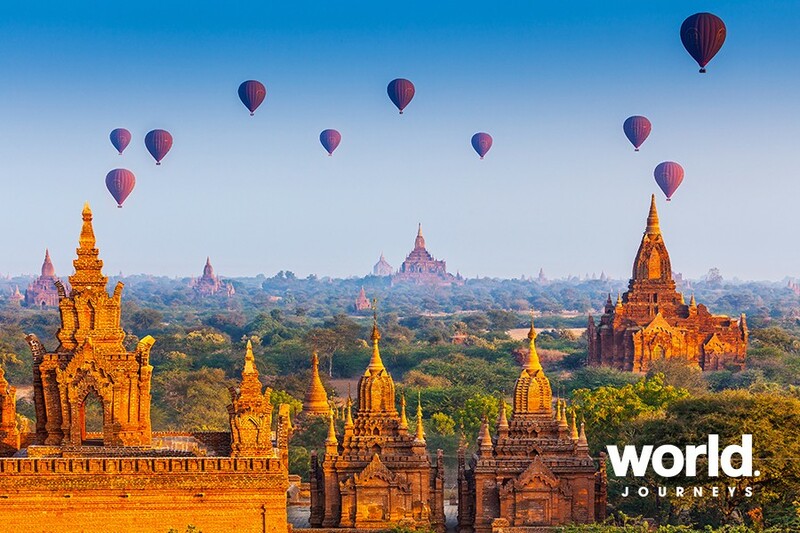 Day 7: Bagan Plenty to choose from today: head to a secluded village, join a temple meditation session, or visit colourful Chauk Market en route to Salay. Day 8: Bagan Disembark this morning. 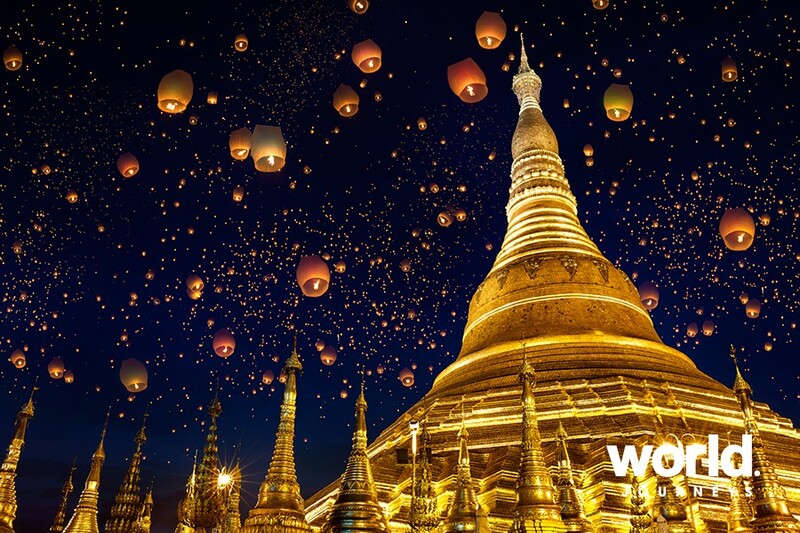 • Prices are per person, in US Dollars, and are a guide price which may vary on departure dates and journey types • Please contact World Journeys for the updated USD exchange rate • Single prices for sole use of cabins are available on request. Enquire for other cruising itineraries including 3 and 4 night cruises. Save 50% on companion fares on select 2019 departures! Book and deposit by 30 April 2019 to save 50% on the companion fare when travelling in October, November or December 2019. The offer is not available on Governors Suites, and is subject to availability. Offer applies to a companion sharing a cabin with a full-paying guest.